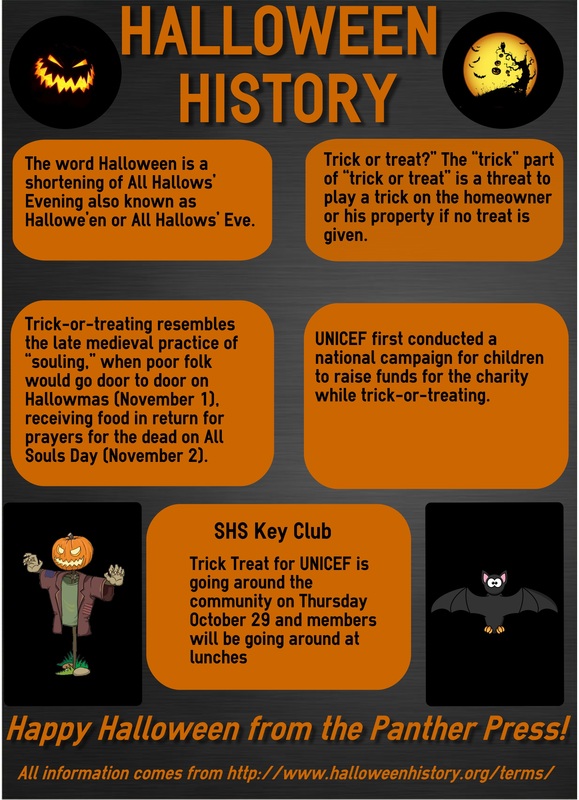 Posted on October 20, 2016 by staceyanderton1	in Entertainment, Media and tagged #Halloween, #Infographic. Posted on October 30, 2015 by staceyanderton1	in Features and tagged #Halloween. 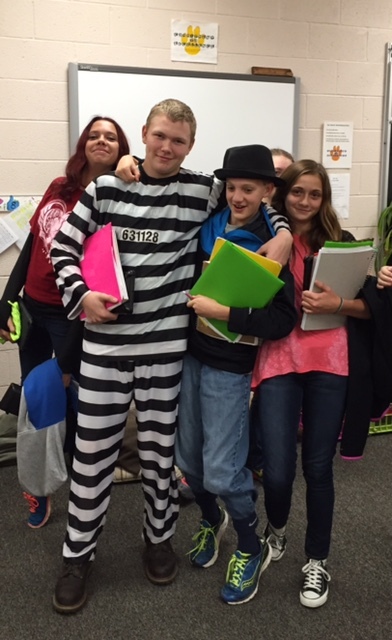 Junior high students show their Halloween spirit by dressing up in costumes. Once again, it’s the time of year to dress up, eat loads of candy, and watch horror films for hours on end. October 31 marks the day we celebrate Halloween. Halloween is a widely celebrated holiday across the United States; people decorate their yards, houses, and pets or they hand-out candy to excited trick-or-treaters. Some Saegertown students planned on going trick-or-treating Thursday October 29 and others chose to dress up on Friday, October 30. Some teachers planned on taking part in the activities too. Mr. Adam Horne, the ninth grade American Cultures II teacher, was taking his two boys trick-or-treating, because, in his words, “I want to eat their candy.” And in the junior high hallway, the teachers held trick-or treat for the students. English teacher Mrs. Nicole DeFrances said, “This is an incentive for the students who are passing and have no missing homework.” The celebrations continue this weekend with the Halloween Parade in Meadville, which kicks off at 6:30 p.m. tomorrow night. Posted on October 29, 2015 by staceyanderton1	in Entertainment and tagged #Halloween.